Now and days, there are many festivals which are kept around the world, which people observe. 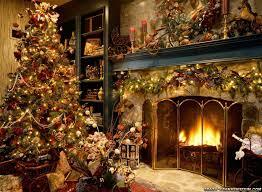 One of the most prominent and popular festivals which is kept every year, is a festival which is called Christmas. Christmas is held on December 25 each year, and said to be the birthday of Jesus Christ. Christians and Catholics now hold to this tradition faithfully each year and commemorate it, by giving gifts to their children and holding worship services at various churches. But today we will see that Christmas is not something that is Christian related but rather pagan related and has nothing to do with Jesus Christ at all. When we look in the bible there is no evidence scripturally or secularly that early Christians in the first century commemorated the birth of Jesus Christ. In fact, in keeping with early Jewish law and tradition, it is likely that birthdays were not commemorated at all. According to The World Book Encyclopedia: “Early Christians considered the celebration of anyone’s birth to be a pagan custom.” Rather than commemorating his birth, the only command Jesus gave concerning any sort of commemoration of his life actually had only to do with his death. It was not until several hundred years after the death of Jesus Christ that the first instances of the celebration of Christmas begin to appear in the historical record. According to the new Encyclopedia Britannica, some who later claimed to be Christian likely “wished the date to coincide with the pagan Roman festival marking the ‘birthday of the unconquered sun’.” Dies Natalis Solis Invicti means “the birthday of the unconquered Sun.” The use of the title Sol Invictus allowed several solar deities to be worshipped collectively, including Elah-Gabal, a Syrian sun god; Sol, the god of Emperor Aurelian; and Mithras, a soldiers’ god of Persian origin. Emperor Elagabalus (218–222) introduced the festival, and it reached the height of its popularity under Aurelian, who promoted it as an empire-wide holiday. This day had previously been dedicated to Bacchus, in the Brumalia festival. Bruma being latin for “shortest day.” The festival was placed on the date of the solstice because this was on this day that the Sun reversed its southward retreat and proved itself to be “unconquered.” Several early Christian writers connected the rebirth of the sun to the birth of Jesus. “O, how wonderfully acted Providence that on that day on which that Sun was born…Christ should be born”, Cyprian wrote. John Chrysostom also commented on the connection: “They call it the ‘Birthday of the Unconquered’. Who indeed is so unconquered as Our Lord. The festival was celebrated with similar customs (gift giving, feasting) that are done to celebrate Christmas today. Also winter festivals were the most popular festival of the year in many cultures. Reasons included the fact that less agricultural work needs to be done during the winter, as well as an expectation of better weather as spring approached. Modern Christmas customs include: gift-giving and merrymaking from Roman Saturnalia; greenery, lights, and charity from the Roman New Year; and Yule logs and various foods from Germanic feasts. Pagan Scandinavia celebrated a winter festival called Yule, held in the late December to early January period. As Northern Europe was the last part to Christianize, its pagan traditions had a major influence on Christmas. Scandinavians still call Christmas Jul. In English, the word Yule is synonymous with Christmas, a usage first recorded in 900. Around AD 200, Clement of Alexandria wrote that a group in Egypt celebrated the nativity on Pachon 25. This corresponds to May 20. Tertullian does not mention Christmas as a major feast day in the Church of Roman Africa. In 245, the theologian Origen of Alexandria stated that, “only sinners (like Pharaoh and Herod)” celebrated their birthdays. In 303, Christian writer Arnobius ridiculed the idea of celebrating the birthdays of gods, which suggests that Christmas was not yet a feast at this time. I will truly like to thank Father Ahnsahnghong and Heavenly Mother Jerusalem for opening up my eyes so that I may not take part in this pagan festival of Christmas, which leads the whole world astray.